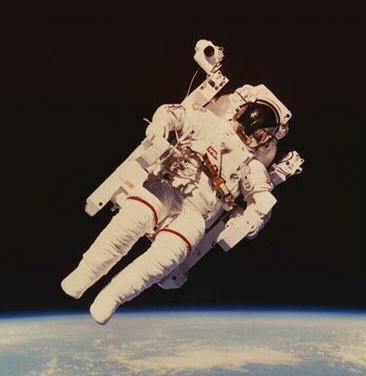 I read this morning that you are currently taking applications to be an astronaut. I was under the impression you were making a lot of cutbacks so I’m not sure how this is possible, but I stopped reading after the “Now Hiring” part because I wanted to get my resume in right away. I am writing to tell you that I would make a really, really great astronaut and you should hire me immediately. Search is over; smoke ‘em if you got ‘em; stop drilling, you’ve hit oil: I am your guy. I am sure you will be receiving applications from a lot of people and may be wondering what makes me stand out from the crowd? What makes me out of this world? Well you just got a little taste of the first thing: space puns. But I have more to offer than wit. Much, much more. Why should you hire me to be an astronaut? 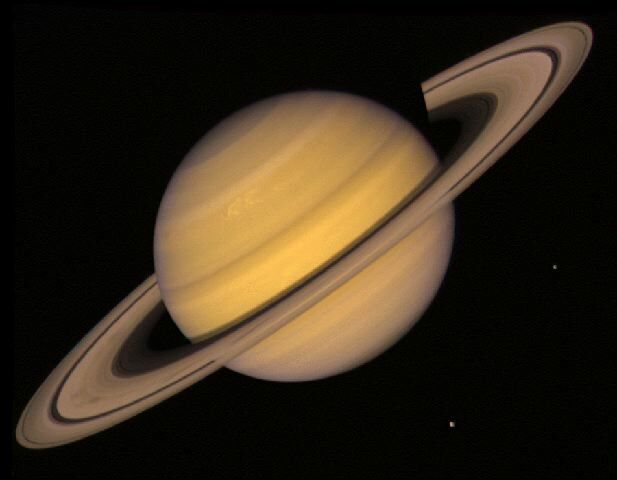 Did you know Saturn isn’t spherical, but actually ovoid? No? Hm. I’ll send you a postcard from space. Because I know that Europa is a moon around Jupiter. We’re on some space mission and the co-pilot says, “It says we’re supposed to turn left at Europa, but that’s back on Earth! What do we do! ?” And I could explain that he’s thinking of Europe, which is a continent. Europa is a big moon by the biggest planet which is named for a Roman God. Because I can do that countdown thing with the echo. You know, how it’s like, “10 10, 9 9, 8 8, 7 7, 6 6…” You’d think you were sitting in the bleachers, watching a launch from Cape Byronic Man (I’m anticipating a name change). Because Steve Austin, The Bionic Man, was an astronaut. I’m The Byronic Man. I think you see where I’m going with this. Hey, could I get one of these that doesn’t make me look fat? Because I can drop words like “ergo” in to conversation. Because I have trained myself to poop in a bag. Oh, they laughed at me. Shunned me. Called the police on me. But I knew the day might come when I’d have a chance to go in to space and they’d say “You know you have to poop in a bag, right?” And I’d be ready. “No problem,” I’d say. Because I carry Tang with me at all times. Sometimes you go to a nice restaurant and they don’t serve Tang because they hate America and progress, so I carry some with me so I can whip up a mug, or, if I’m out for cocktails, a Mar-tang-I (patent pending). Because I won’t give you a bunch of crap about Pluto being downgraded from planet status. You have just alienated (see what I did there? Space pun. I’m after the job you want) the entire pro-Pluto contingency. No funding for you. Pluto knows what it did. I was going to comment, but I think I’ll have to write a whole post on my thoughts on Pluto. I’ll tell you when it’s written, and we can pick this up from there. I’m sure this hooked ’em. You better start brushing up on your Russian! By that of course I meant the language, not some sexual innuendo about a Russian friend of yours or anything. Pooing in a bag doesn’t take training. I did it once in Portsmouth when the married couple wouldn’t leave the shared bathroom down the hall. Their entire honeymoon was meant to be at the B&B not in the BATHROOM of the B&B. Srsly. I poo’d in a bag cos the alternative was my pants and that was no alternative. Little did you know you were training for space flight. Speaking of Jupiter she is clearly visible in the evening sky these days. And if you live a city as light polluted as mine, she is about the only planet you can see though on occasion Mars makes an appearance. Ha! The space puns just keep coming! I like that you have stars in your eyes. Tee hee. They should DEFINITELY hire you based on the space puns alone. So I can use you as a reference? First we need to review footage of you flying the Vomit Comet while dropping puns. Please post. Well, we’ve been told growing up in America “You can be anything- the President, or an Astronaut”. Now we’ll see if its true. Ergo…. you’ve inspired me to persue my dream job as quality control for Godiva Chocolatiers. They should add that to the “In America you can become anything you want” list. Laughing too hard, my brother is an actual rocket scientist at NASA, current mission is to send some sort of seemingly important crap to Venus. (I’ll put in a good word for you!) But I have to warn you, those scientists typically have astronomically lousy senses of humor. Despite this, our running family joke when anything is remotely difficult is of course, “Well, it isn’t rocket science . . .” He’s suffered with nearly 20 years of this now. Probably an okay place to be humor deficient. “actually, I was just kidding when I said that” is probably not something you want to hear when something’s gone wrong in orbit. Dear Byronic Man, I’ve just stumbled upon your blog. I have read three posts and now I believe I am in love with you. Will you marry me? Thanks in advance for your kind reply. Kind regards, E.
Well… okay. Sure. Why not. Big ceremony, or just close friends and relatives? I think you, me, my husband and my son would be enough. Thanks! See you soon then! Now I want to go watch Homer In Space…. That’s never a waste of time. I stumbled upon your post and that’s the best thing that has happened to me all day. In fact, I laughed so hard that I got in trouble with the librarian. I’m not an astronaut, but as a science student, I feel obliged to tell you that your bones become more fragile when in space. So whilst I wish to support your ambition, I don’t want you to lose your funny bone!